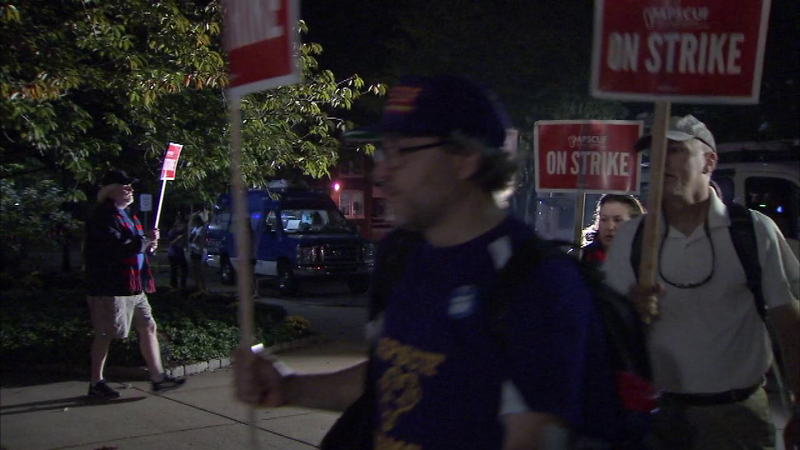 October 19, 2016: Striking faculty members set up picket lines at 14 Pennsylvania state universities including West Chester University in West Chester, Pa.
WEST CHESTER, Pa. (WPVI) -- A faculty strike impacting more than 100,000 students at 14 Pennsylvania State universities began Wednesday after contract negotiations between the Pennsylvania State System of Higher Education and its faculty union hit an impasse. 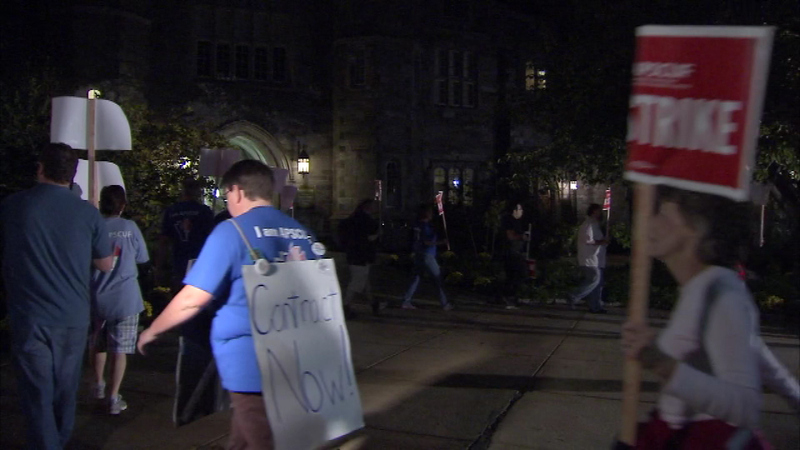 The Association of Pennsylvania State College and University Faculties went on strike at 5 a.m.
"They have been working without a contract for almost 500 days, that is insane. The people who are still teaching today are teaching only because they need the medical benefits," said Arden Harper, West Chester University student. RELATED: What should students do during the strike? Attempts at an 11th-hour agreement between the faculty union and the chancellor for the Pennsylvania State System of Higher Education fell through. "We'd like to reassure our students that we did everything we possibly could to avoid a strike. 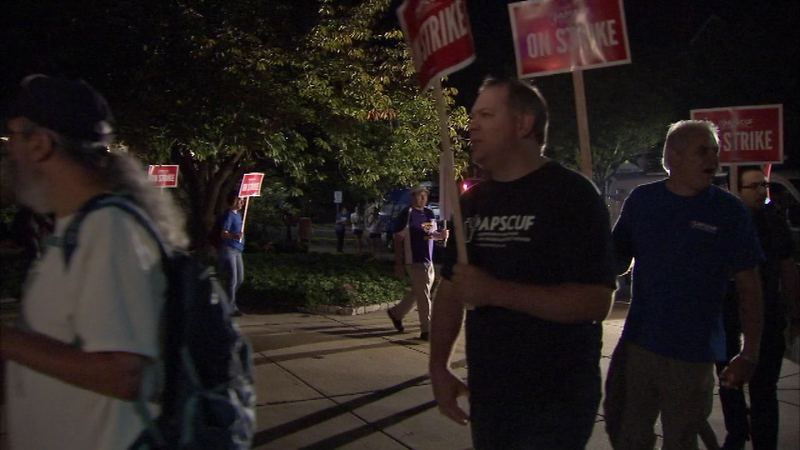 We will be here should the State System decide not to abandon its students," APSCUF Vice President Jamie Martin said in a statement. 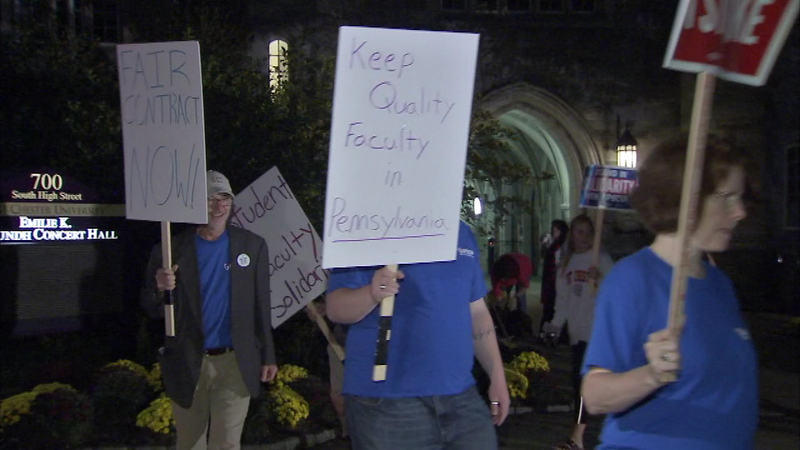 Faculty from more than a dozen universities, including West Chester University, Cheyney University and Kutztown University, say they've spent more than a year rallying for a new contract. At issue is a heavier workload with no corresponding increase in salary for faculty, as well as the elimination of retirement benefits to those new to the union. "What we are hoping for is a negotiated fair contract. 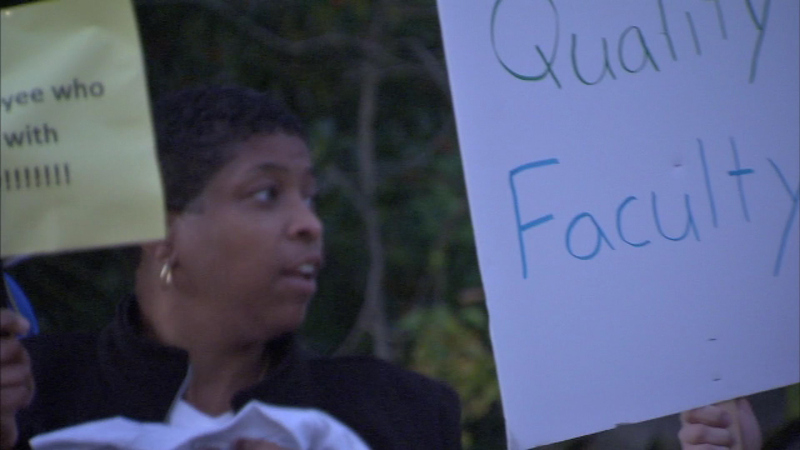 What the faculty is interested in is quality public higher education and that is why we are here. It is for the future of the commonwealth," said B.J. Mullaney of Cheney University. 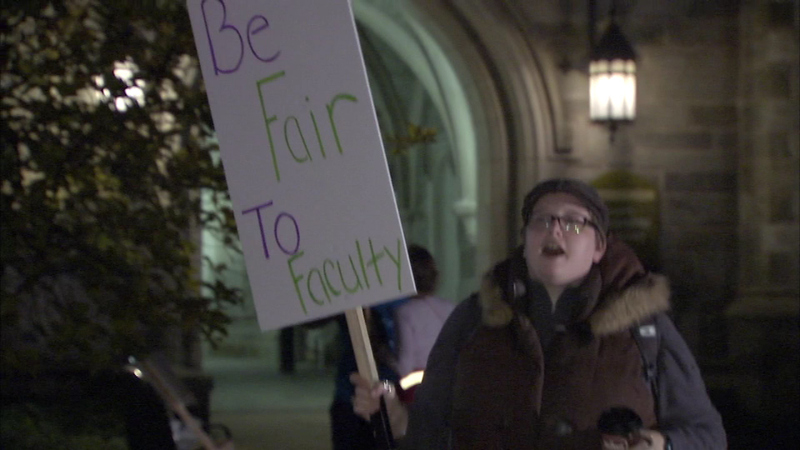 Under the current contract, full-time professors start around $46,000 a year and top off at about $112,000, plus benefits. In a three-year deal, the state system says it is offering from more than 7 percent to a more than 17 percent pay increase and an increased cost of medical benefits. 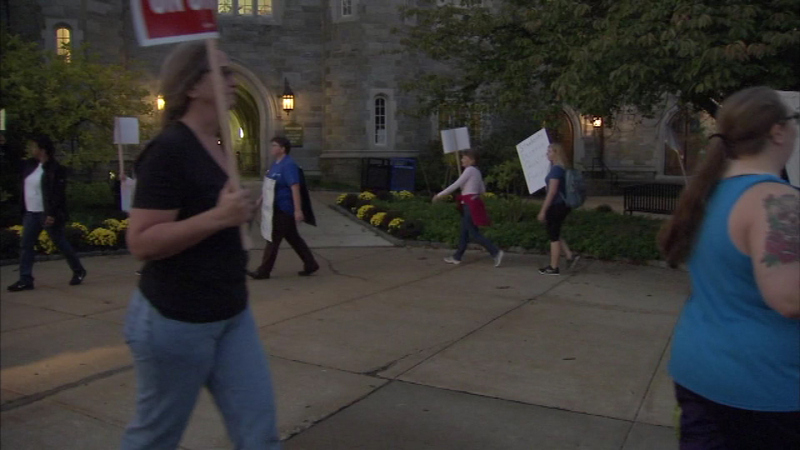 Faculty members are on strike at 14 Pennsylvania state universities, impacting more than 100,000 students. A spokesperson for the State System defended the proposal saying, "These are difficult times for our universities. 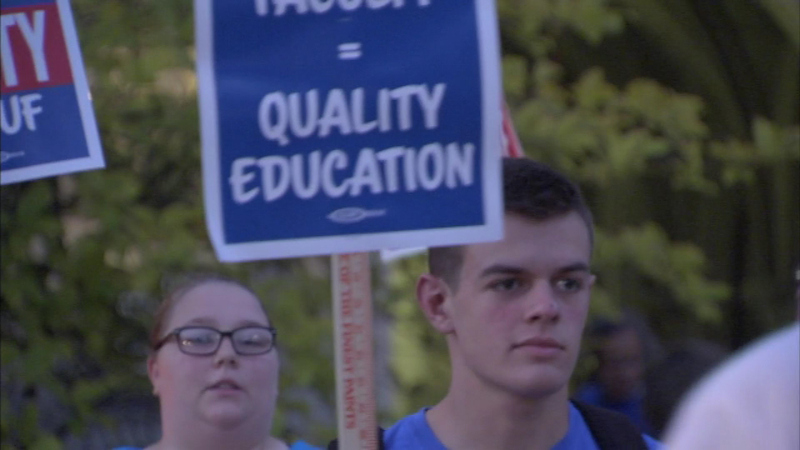 If APSCUF won't agree to share more of the costs for their own healthcare - like everyone else has - it will threaten our ability to keep tuition affordable for students." 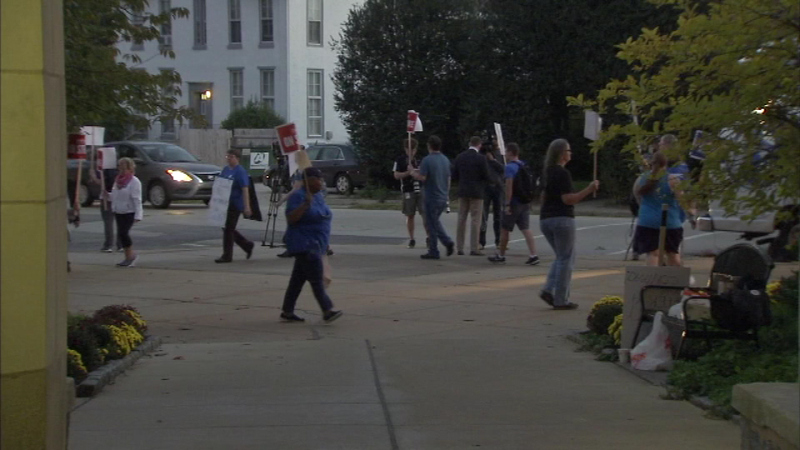 Union workers say they won't show up to work until they get what they call a fair contract. "What is unfair is that for every benefit they give us, they're trying to take several more from us so it ends up being a loss for us," said Norma George, Cheney professor. On Tuesday afternoon, more than two dozen faculty trickled into West Chester University's main hall for talks about the impending strike, which includes more than 5,000 union faculty members across the state. "Hope for the best prepare for the worse. 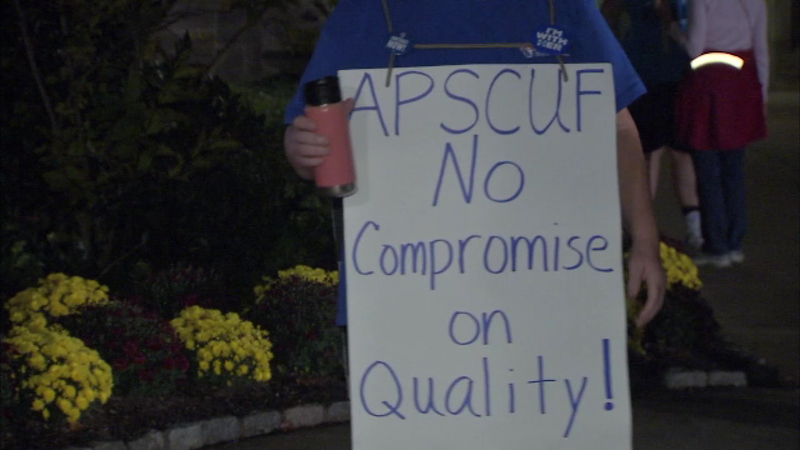 This hasn't happened before, and we hope it is incredibly short for everyone's sake," said Ed Lordan, West Chester University spokesperson for APSCUF. Outside, students were nervous, confused and mostly out of the loop because of a news blackout. 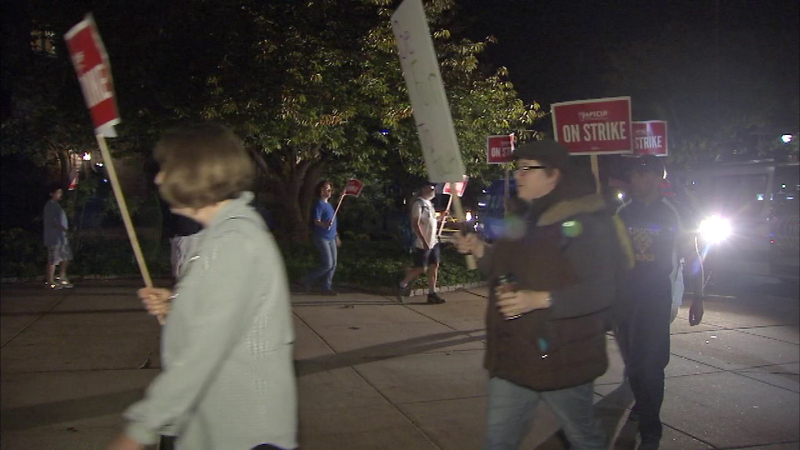 A last-ditch attempt in Harrisburg to strike a deal failed Tuesday evening, paving the way for the strike, which has now brought the semester to a halt at 14 universities. The university and the faculty union weren't speaking to the media. For anxious students, questions about financial aid, sports and on-time graduation remain unanswered, and rumors abound. 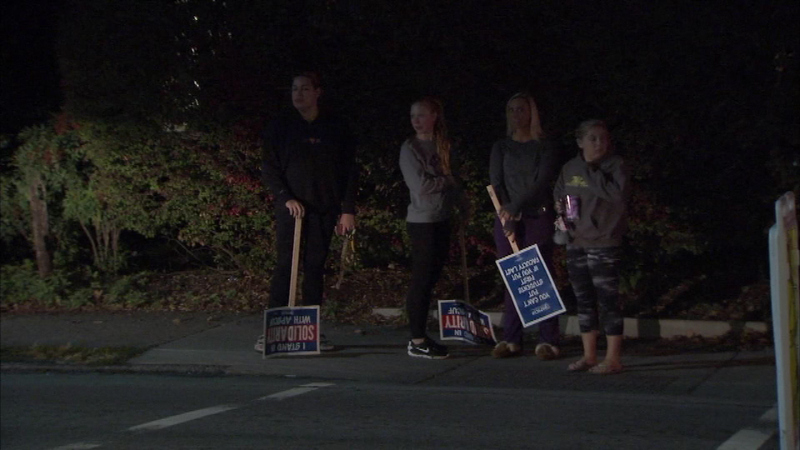 "Some teachers have already told you that they've cancelled classes and you don't have to show up, but, for the most part, you're supposed to," said student Nolan McGuire. 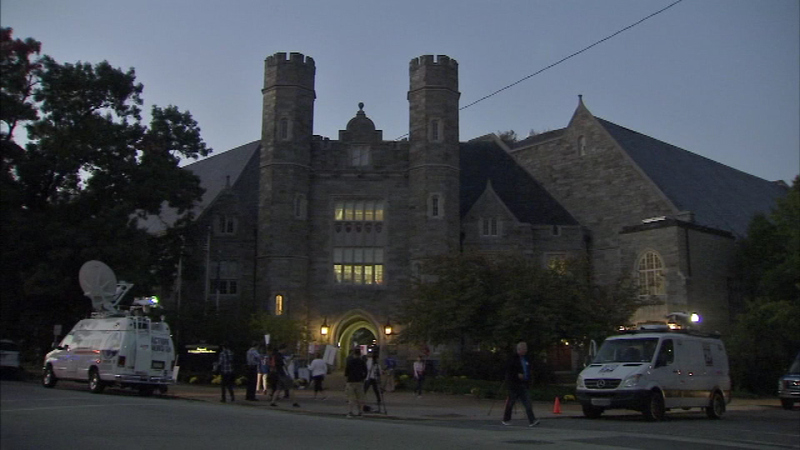 But despite the inconvenience, each student with whom Action News spoke said they fully support their professors. "I mean, it's a big deal. I think that if a professor or the professors here are being treated unjustly they have the right to protest to get change," said West Chester University student David Reyes. 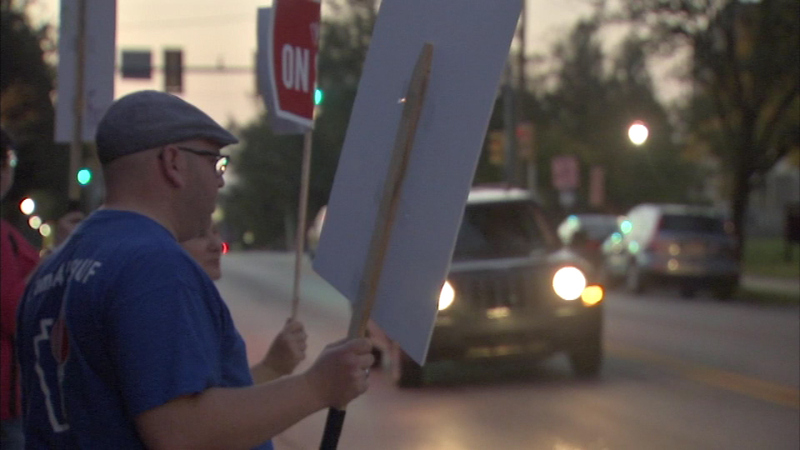 On Tuesday the union said there would be a complete cutoff of communication beginning Wednesday if the strike happened. That means professors won't be answering calls or emails from students until the strike is over. 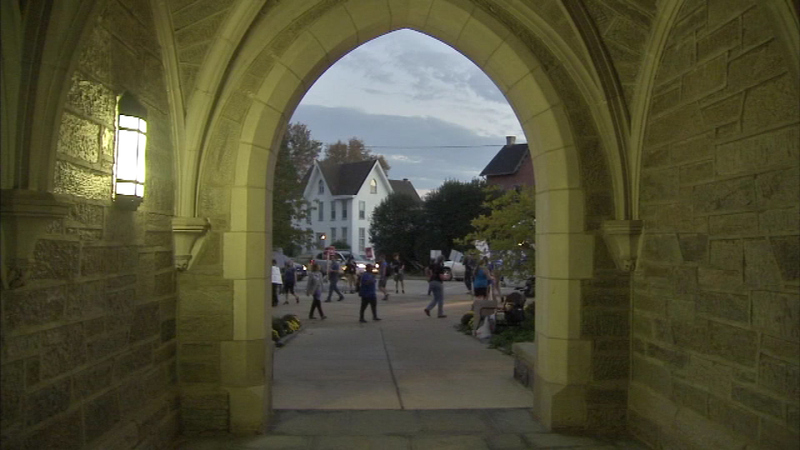 Observers say the strike could deal a crippling blow to the state university system in Pennsylvania, which has been seeing enrollments decline. What should students do during the strike? 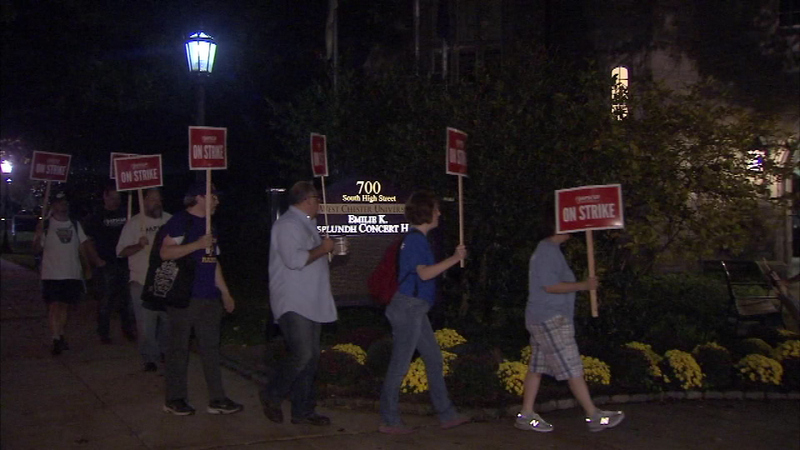 Faculty on brink of striking at state universities in Pa.